At its peak, the internet of people was revolutionary – people sharing things with one another, with no geographical barriers. Now is the time for the Internet of Things – things interacting and collaborating with one another via the Internet. From your personal health to the health of the planet, the Internet of Things technology has something for everyone. The Internet of Medical Things (IoMT) is set to provide better care for an ageing population and at-risk patients, while helping to reduce the rising costs of healthcare. 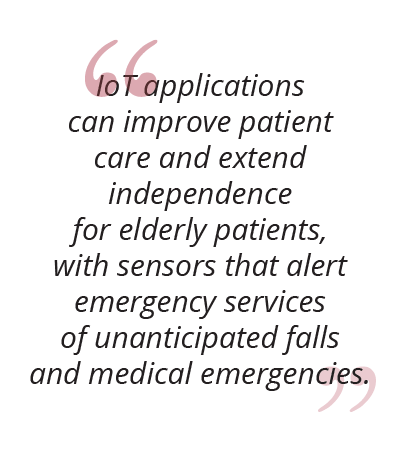 Healthcare devices powered by IoT technology can help caregivers and healthcare professionals to monitor patients and collate data to identify issues for early intervention. Intelligent connected devices monitor the health of patients, tracking patterns in blood pressure, blood glucose levels, and heart rate to alert caregivers when there are indications of an impending disease or worsening condition. Physicians can remotely monitor at-risk patients, helping to prevent trips to the emergency room. Fitness wearables track the health and activity of the wearer, exchanging data between connected devices to provide personalized healthcare advice. Electronic Medical Records collect and merge data across providers to provide healthcare professionals with a more holistic view of patient health, allowing them to make better informed decisions about treatment options. Improved disease management provides better patient experience and allows healthcare providers to stretch their resources to monitor and regulate more patients, providing reduced healthcare costs for a wider demographic. With the use of the Internet of Things allowing resources to stretch further, healthcare could be more equitable and widely available. Have you ever wondered to yourself, “did I leave the stove on?” What if you had a smart house that could turn it off for you? Smart homes promise increased convenience and, maybe most importantly, peace of mind. A smart home is within your reach, by installing IoT applications that monitor energy and water use, smart thermostats, and automatically switch appliances on and off to reduce energy and save you from spending date night wondering about the appliances you may or may not have left on. The smart home market has a steady influx of new innovations designed to make your life easier with intelligent automation. 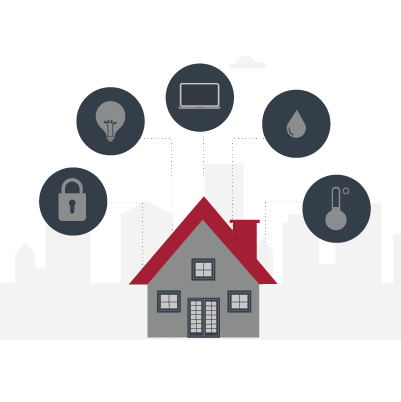 You can solve your home security concerns with IoT devices like keyless deadbolt locks, intruder detection sensors, and even doorbells equipped with cameras, or control your smart home just by talking to it, combining systems like Google Home or Amazon Echo. The use of IoT has the potential to usher in a new era in urban living and development, with solutions that offer more efficient energy usage, lower pollution levels, and overall better quality of life for smart city inhabitants. Spending on smart city innovations is expected to reach $80 billion by the end of 2018, with that number forecast to hit $135 billion by 20214 as cities worldwide invest in digital transformations to upgrade their environmental, financial, and social city planning strategies. Barcelona’s CityOS5 combines multiple technology solutions, more than 20,000 smart meters, and city-wide WiFi in a fully integrated digital urban planning strategy. Municipal smart bins monitor waste levels to optimize refuse collection routes, while smart street lights adjust their brightness automatically when they sense a pedestrian is nearby. CityOS has reduced road congestion and vehicle emissions by doing away with drivers idling for a parking bay, through an integrated city parking app which leads drivers to open parking bays using sensors built into the asphalt. The app is also used to collect parking fees. Public transportation upgrades have equipped city buses with free WiFi and USB charging stations, while citywide data analysis helps to plot efficient bus routes, finding paths that minimize the chances of hitting a red light. The same technology aids emergency response vehicles, changing street lights to give drivers a green light all the way from point A to B. It would be premature to start planning your move to a smart utopian metropolis. The Urban Internet of Things is growing rapidly, but it takes time to retrofit entire city structures. Each city is different and will present inherently unique challenges to smart innovation; but there is a range of IoT applications available to come alongside the organized chaos of any city to improve the lives of its citizens. With a booming global population – set to reach 9.6 billion by 20506 – and changing environmental conditions around the globe, the need for consistent and effective food production has never been more critical. 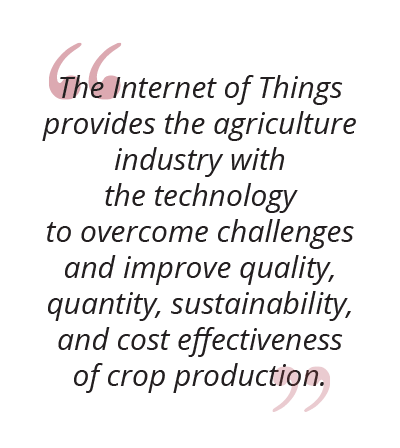 The Internet of Things provides the agriculture industry with the technology to overcome challenges and improve quality, quantity, sustainability, and cost-effectiveness of crop production. Traditional farming is limited by the number of workers available to maintain crops, and the volatility of weather conditions that prevent a consistent growth environment. Precision farming, however, leverages sensors, robotics, variable rate technology, and other solutions to give farmers more control over their crop growth. Smart greenhouses allow for microclimate conditions, tailored to a crop’s optimal growth environment, and sensors gauging temperature and moisture provide constant feedback to ensure optimal growth. CropMetrics is one precision agricultural leader with a focus on precision irrigation through the use of soil moisture sensors. Not only does this ensure crops get the right amount of water at the right time, but it reduces water waste. Agricultural Drones help with crop spraying while monitoring crop health and field analysis. The data returns from these drones has the potential to save time for farmers and increase crop yields by making strategy more accessible with a bird’s eye view. One of the less talked-about applications of IoT technology is its potential for positive environmental impact. These applications address issues of conservation and climate change – from poaching prevention to saving the bees. The Rainforest Connection8 has developed sensors which allow them to remotely detect illegal logging. From their vantage point attached to trees, these sensors listen for the sounds associated with illegal logging, alerting authorities so they can intervene immediately. They use the same technology to prevent illegal poaching, listening for human sounds of traps and guns in endangered wildlife areas. Project RAPID equips African rhinos with a camera, heart rate monitor, and GPS tracker. When an animal is threatened by poachers, the spike in heart rate sends an alert to preservationists, who can track the rhino’s location and capture video of its attackers. 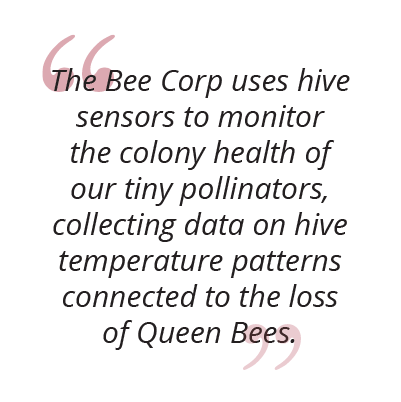 The Bee Corp9 uses hive sensors to monitor the colony health of our tiny pollinators, collecting data on hive temperature patterns connected to the loss of Queen Bees. CSIRO10 equipped thousands of bees with minuscule sensors to gather data about bee behaviour in an attempt to offset issues related to population and pollination. Other IoT applications set out to detect forest fires, monitor conditions to prevent landslides and avalanches, and provide early detection for earthquakes. The Internet of Things continues to expand, drawing more devices under its wing that provide new ways to make our lives easier and more efficient through connected technology. With tech companies and industry innovators racing to provide the next best thing, advancement in the IoT space should be rapid, and the results are likely to be worth paying attention to. 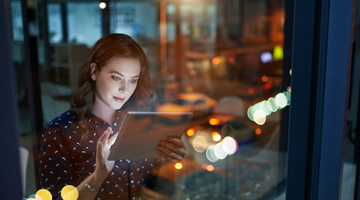 Explore IoT opportunities for your business.